FAR’s Healthcare Program has another achievement to celebrate. Trainers who volunteer for our Continuing Medical Education (CME) Program will now be able to receive professional development credits for their work. Armenia recently changed its regulations and now requires healthcare practitioners to earn 220 such credits over the course of five years in order to keep their medical licenses. For some time now, FAR has advocated for both participants and trainers to receive credits for their participation in CME. Success was made last year when it was decided that program participants be able to receive 93 credits for completion of the program. Now, their trainers will be able to earn 17 credits annually for their volunteer work. “It is the first time in Armenia that doctors receive credit for their supervision. It’s a great achievement for us. 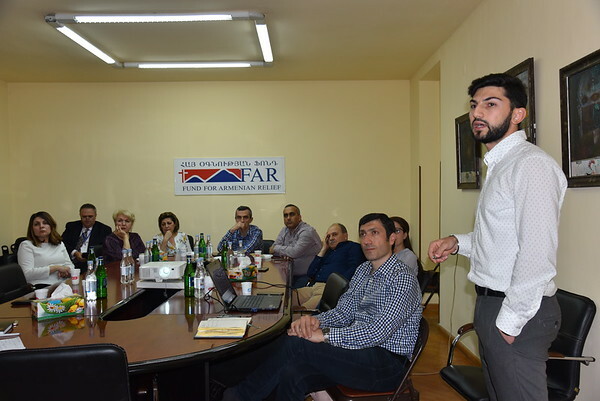 We wanted the state to recognize the great job they do helping to ensure better health care in the more remote regions of Armenia and Artsakh,” said FAR Health Programs Manager Dr. Hambardzum Simonyan. Since its inception in 2005, CME has trained more than 900 doctors from Armenia and Artsakh.